Thornless plants produce high yields of glossy, large, elongated berries in early summer. Sweet berries are perfect for snacking or in jams, jellies and juice. Semi-erect plants exhibit strong disease resistance—making them an excellent choice for home gardeners. Grows 4-5 ft. tall. Blackberry plants, like Natchez Blackberry, produce fruit on floricanes or second-year shoots. When the cane is flowering and bearing fruit, the plant is also producing new first-year shoots or primocanes. At the end of each year, prune out the floricanes, or the branches that flowered and fruited earlier in the year. Self-pollinating. U.S. Patent 20891. Zones 5-9. 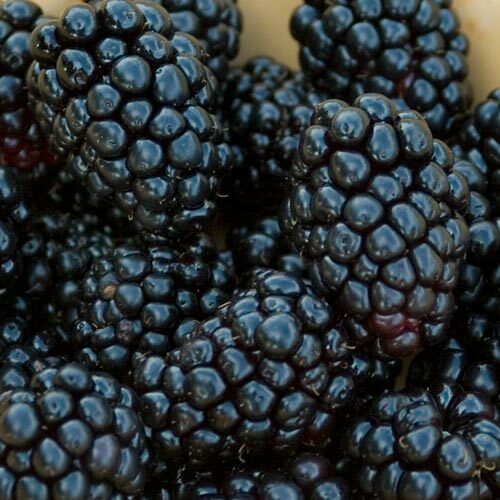 FruitLarge, elongated, sweet, glossy black berries. Soil RequirementsWell-drained, rich, moist soil. 5.5- 6.8 pH. CommentsThornless plants produce high yields of glossy, large, elongated berries in early summer. Sweet berries are perfect for snacking or in jams, jellies and juice. Seli-erect plants exhibit strong disease resistance-making them an excellent choice for home gardeners. Grows 4-5 feet tall. Self pollinating. DepthDig a hole twice as big as the root system. 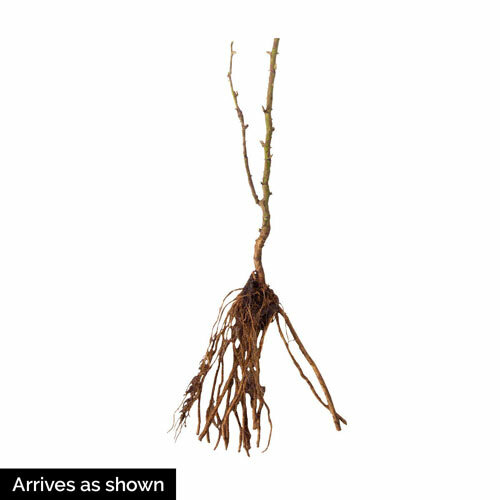 Plant so that all roots are firmly in the soil.